Going on a trip doesn't mean that you have to leave your pet behind. Are you planning a trip, but can't decide whether to bring your pet? Going on a trip doesn't mean that you have to leave your dog behind. That's right! Bringing your dog on a trip is a great way for them to get exercise, experience new sights and smells, and spend quality time with you. Although vacations are fun for both you and your pet, you should be aware of the responsibilities as well as precautions involved with bringing along your furry friend. 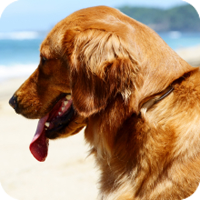 In this section you will find information that will help you and your pet have a fun and safe trip. Camping with pets presents its own challenges. Skunks, raccoons, porcupines, snakes, and other wildlife can bite or otherwise injure your pet. Keep your pet within sight and on a leash. Be considerate of other campers. Be sure to ask your veterinarian about flea, tick and heartworm prevention. Most states prohibit animals from riding on buses and similar regulations restrict travel on trains. Exceptions are made for guide and service dogs accompanying blind and disabled persons. Consult your local carriers in advance for information.